The Haves and The Have Nots and If Loving You Is Wrong are two of my favorite shows from Actor/Writer/Director Tyler Perry. He wears many hats in his creative process and we laugh and laugh, enjoying characters like Medea and her pistol packing ways. His writing title does not seem to be in jeopardy, even though OWN has tapped into some new blood by adding some new writing talent to the OWN mix with award winning filmmaker, Ava Duvernay (Selma) who helps bring a novel wirtten by Natalie Baszile to life on screen, in the new series Queen Sugar. Called a contemporary drama likely because of its modern day storyline, Queen Sugar explores partenthood, sibling relationships, success, marriage and family, as the challenges associated with fame get the best of an athlete. 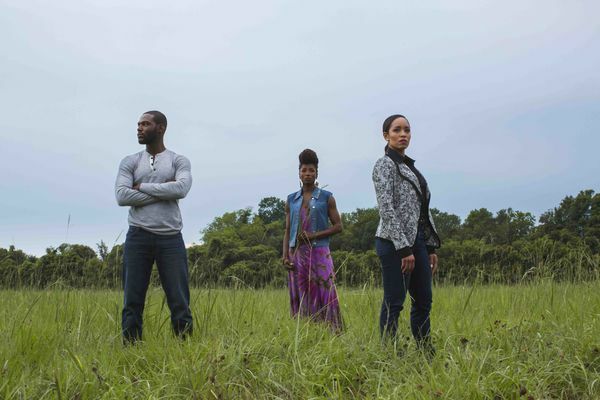 Queen Sugar mixes the old with the new by using a farm setting in Saint Josephine, Louisiana, making the book of the same name, an even larger success. The series "delivered the highest rated two-episode debut in network history" premiering early September. Enjoy the images and tune in on Wednesday Night to get in on all the drama happening in the lives of the Bordelon Family.